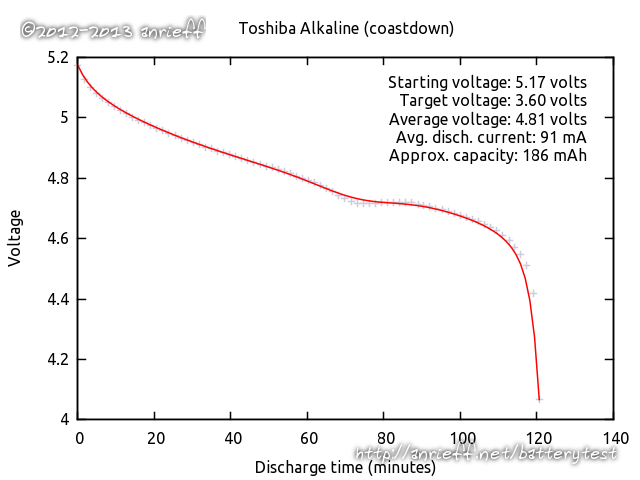 These batteries showed peculiar discharge characteristics. 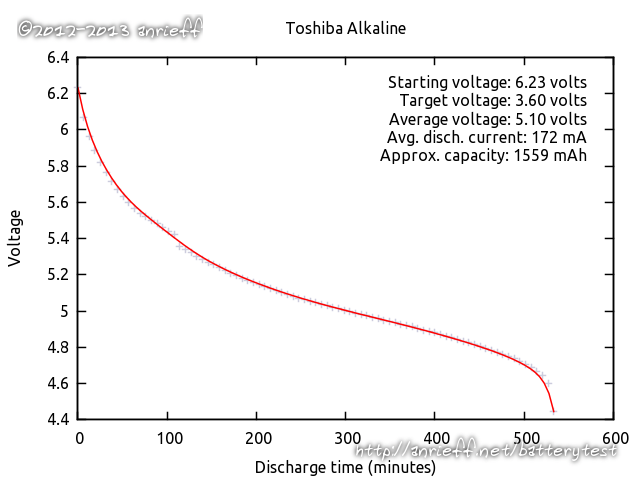 The discharging device device stopped the process early due to excess internal resistance in the battery pack (it is measured as a difference between the observable voltage under load vs open circuit - the difference had been more than 1.5 V at the moment of termination). 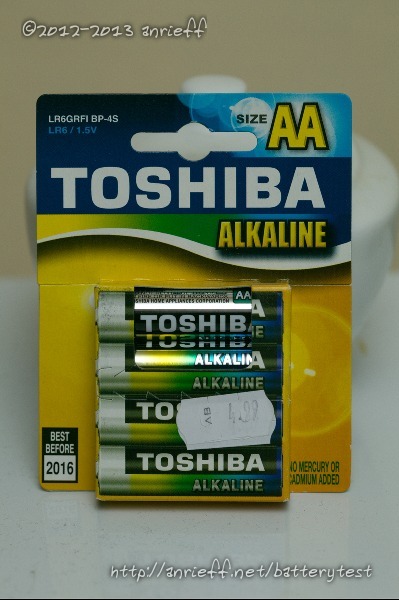 In a real application, these cells would have failed first of all tested alkaline packs, and could probably achieve acceptable levels of performance only on very light loads.